Phew. 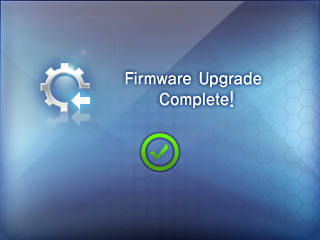 At least this time the upgrade went smoothly. Took about a minute. Now the WPA2 protocols work properly! Has anypne had any weird glitches since installing this? I have notcied a couple times that all my folders in my games section will disapear until I reboot. I have also had it freeze up when trying to select a photo. Never happened until this install which indicated I had done properly. I too am encountering the glitch in which the menus seem to be empty, despite my data being on the card. Either a restart or popping the card in and out usually brings all the data back, but it's hit and miss. I've had the same problem with folders disappearing and the same solution of restarting, but it started when I previously upgraded to 1.5. Unfortunately I still can't put in my wep key because the field is too short to include all the characters of the key. Otherwise seems to work just fine. I've had similar glitches to those described for v1.5.0 (which was the firmware pre installed on my device). But the 3rd SD-Card I tried (2 GB SanDisk) freshly formated (FAT 16) did the job.